HillSide Christian College has two different sets of uniforms. One is worn by the Primary school, the other by the Secondary school. It is a condition of enrollment that all students wear their uniform while at the College and at some official, after-hours functions. Uniforms may be purchased as required from Perm-A-Pleat Schoolwear. 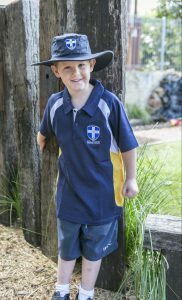 Sizing uniforms for online orders can be done at the school via appointment through the front office 9453 2644. Perm-A-Pleat Schoolwear online ordering is available below. A Product Return Form is available from the College office if required. Or click the link below to download and print.